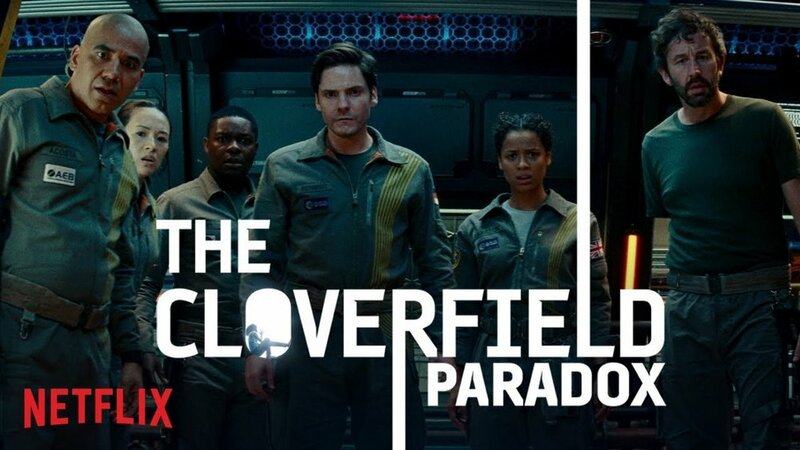 "The Cloverfield Paradox" Review - SLUSHO And Why Was This A Cloverfield Movie? The Cloverfield Paradox snuck up on all of us, much like '10 Cloverfield Lane' did, when it was suddenly announced, and boom, there it was. So too, was Paradox advertised during the Super Bowl, as premiering on Netflix, like, NOW! And boom, there it was, live on Netflix, right after the game. But does having the Cloverfield monster make a total screen time of five, maybe ten seconds, total, make it a Cloverfield film? It was Alien, without the Alien! It was still a fun film and is a great time killer if nothing else. The film stars Gugu Mbatha-Raw, David Oyelowo, Daniel Brühl, John Ortiz, Chris O'Dowd (and his arm), Aksel Hennie, Ziyi Zhang, Elizabeth Debicki & Roger Davies. For me, the recognizable actor was Chris O'Dowd, though, despite the serious nature of the story, still had some of his quirky humor. The film was directed by Julius Onah (The Girl Is In Trouble, upcoming film, Luce) and it was written by Oren Uziel, Oren Uziel, & Doug Jung. The film takes place in 2028 and humanity is trying to solve an energy crisis by sending a particle accelerator into space... for some reason putting it in orbit over Earth will solve our energy problems. There are people freaking out saying that if they turn on the particle accelerator, it could open a portal to other dimensions, allowing demons to enter our own Earth. Great... but this is still 2028, so we're still not clear on the connective story tissue between films. And once the accelerator is powered up, it goes wonky, sending the space station into an alternate universe where the crew has to deal with fixing a wrecked station and the appearance of a total stranger embedded in one of their bulkheads. And those are the normal issues. From this point forward the crew has to deal with truly obscure plot issues pulled out of thin air to make it to the end of the story. I AM going to address the monster in the room, and it's a bit of a spoiler and PSA. There was no monster in the room! The first Cloverfield film took place in our era making it a nice start to this franchise. Then 10 Cloverfield Lane came out, putting an intense story of a kidnapper and his victim out there in the similar time frame, with the monsters making an appearance just after the midpoint of the third act, planting that film smack dab in the middle of the franchise mythos. 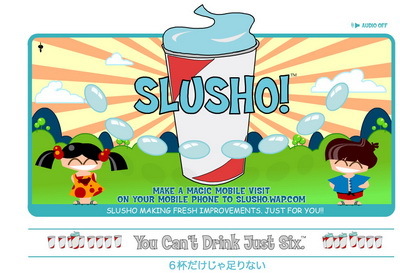 Oh, but at least we got a product placement moment in the beginning of the film for the infamous and fabled Slusho, as a tiny cup on a keychain! 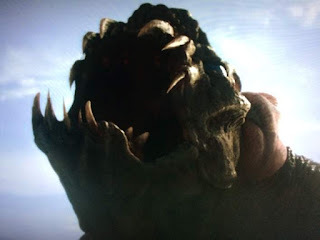 Considering how much work Abrams and team put into the massive backstory of the first Cloverfield film and how the company behind Slusho may have been responsible in some way in creating Cloverfield, I was expecting much more from this film, looking for hints and nuggets about something related to the origin of the monster. Instead, all I found was being distracted by a hoped for origins payout. And obscure mystery events wreaking havoc with our crew. THAT, plus, when I went to look at that old website, it seems they're already busy changing things up because the website is totally different now... WTF? See my links below. UNLESS, the producers backtrack on their own work, and declare that the first film was set in our future and not present time. In which case, well, it could be. But then they'd have to explain how life on Earth didn't have any issues with energy consumption in that film, while in this film, well, you see where I'm going. It's in circles, that's where. Don't get me wrong, if they called this the Time Energy Paradox movie, it would have been pretty good. Mostly. But between wall eyed issues, sentient severed arms and other strange events, well, it wasn't a bad time killer. But it sure didn't seem to fit the Cloverfield billet. I can't wait to see what kind of set of excuses they come up with for this. Then again, I think this was a rushed, slapped together production. It's been whispered about since 2012, originally referred to as The God Particle. I think this film's development sat around too long and they decided to crank it out and shove it out on Netflix. Which I'm grateful for, because I didn't mind watching it and not drop money on it in the theater. “While we were shooting, we were making adjustments,” Abrams said. “This was a movie that went through many different iterations as it went along.” He added that the film’s Earth scenes were only built out after test viewers insisted on knowing what was happening on the planet during the story, which otherwise takes place on a space station. Which could explain the shoddy story telling. It was almost like Micheal Bay's Transformer film editors got a hold of this film, but this time around, people cared enough to get pissed. And it came straight to Netflix because someone in Paramount was worried about their profitability in the box office. GOOD MOVE! Meanwhile, Netflix is rumored to have dropped $50 million on the rights. To be honest, if Paramount was that worried, Netflix might have been able to get the rights for less. In fact, if we felt it might have been slapped together, maybe one clue is that the stars only found out about the title, release date and venue, that day of the Super Bowl. If Abrams and team want to do this right, they need to address the massive back-story they built up around the creature, Slusho and go from there. Period. Ignore this last Paradox film altogether because it was a waste of time. http://www.tagruato.jp/index2.php is no longer a working site either. IGNORING the obvious, as a space drama, it was fine, even if it had a lot of things that were never explained, like the sentient severed arm, and what not. As a Cloverfield entry, it sucked. In case the video gets yanked, here's a still of Clover in her 10 second appearance. IMDb: 6/10; Rotten Tomatoes 20%.